One hundred laser-etched ‘medals’ commemorate this year’s centenary of Votes For Women. Each medal includes the name of a Suffragette who received a hunger strike medal whilst in prison, given to commend their dedication to the cause. 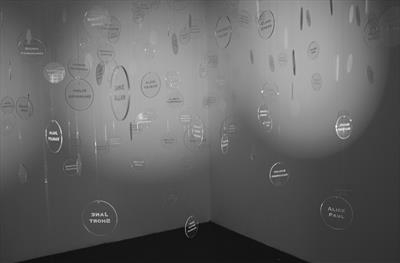 The installation pays homage to the dedication and sacrifice of each individual campaigner, combined with the collective impact achieved by the movement.